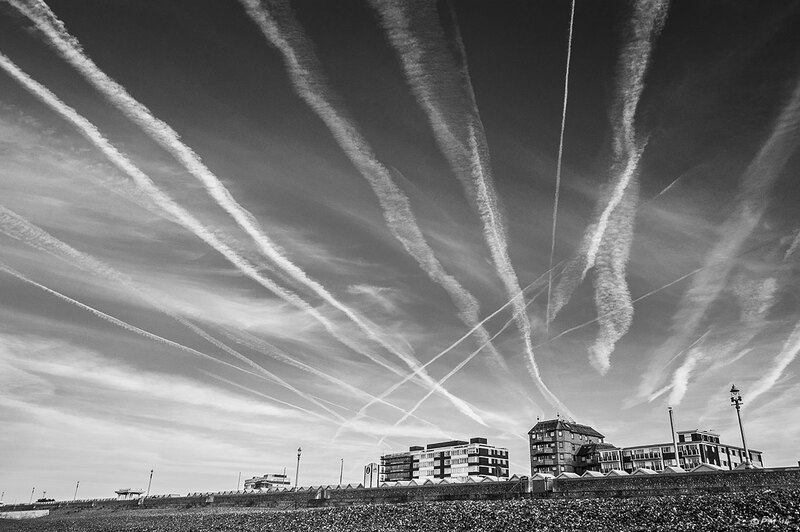 That is a lot of contrails! Near an airport? Not far, still unusual to see so many though. Wow! Amazing shot! Love contrails.